TOUCHED BY LYME: The difference between "normal tired" and "too tired to breathe"
Guest blogger Jennifer Crystal explores what “fatigue” can mean to a person with chronic Lyme disease. A few weeks ago, there was a small fire in my apartment building which necessitated three separate evacuations between the hours of 2:00 and 5:00am. Needless to say, it was a long night, and no one got much sleep. The next day I felt buzzy and glazed over, the same feeling I used to get in college when I stayed up too late writing a paper. I was tired, but it was normal tired, not sick tired. It’s a difference Lymies can recognize all too well, but one that’s hard to distinguish when we talk about a general symptom of fatigue. Fatigue can mean a lot of things. It can mean muscle soreness after a bike ride. It can mean feeling drained after a long day at work. It can mean droopy eyes, the desire to take a nap, the need for an extra cup of coffee. It can even mean the buzzed feeling I experienced after a night of little sleep. All of these descriptions fit into the category of “normal tired.” What makes them normal is the base level of health underlying them. If a person is otherwise healthy, they are able to push through symptoms of normal fatigue because their adrenals are working properly and their bodies are not worn down from fighting infection. “Sick tired” is another story. The fatigue of tick-borne diseases is not a general malaise that can be fixed with a nap or a cup of coffee. It is a crippling flu-like exhaustion, one that leaves muscles not sore but literally unable to function; one that makes the body feel shackled to the bed; one that makes the effort of lifting one’s head off the pillow seem like a Herculean feat. There were times, at my lowest point of illness, when I literally felt too tired to breathe. It’s hard for someone who has never been that sick to understand what a person with chronic tick-borne illness means when she says, “I’m so tired.” I’ve had well-meaning friends say, “I’m tired a lot too,” but in the next sentence they tell me that they’re going to the gym or planning a party. This means they are “normal tired,” and while I sympathize with that, I wish there were more specific nomenclature to distinguish between our two very different definitions of fatigue. This lack of distinction is especially unfair to patients with chronic fatigue syndrome, a nebulous umbrella under which many Lymies fall. “Fatigue” is hardly a strong enough word to cover what it feels like when your adrenals are shot, your nervous system has gone haywire and your body refuses to function. Even as a writer, it’s hard to articulate exactly what I mean when I use the word exhausted. My best effort at putting “sick tired”—specifically, the sick tired of chronic tick-borne disease—in layman’s terms is, Imagine you’ve partied all night and wake up with the worst hangover you’ve ever had. Your head is pounding. You’re overly sensitive to light and sound. You stumble to the bathroom and barely make it back to bed. Whatever you originally had planned for the day—work, homework, a run—is out of the question. You’re not sure if you’ll even be able to manage basic tasks like bathing and eating. You roll over and go back to sleep. Then imagine you wake up the next morning with all of the hangover symptoms still there, but now, you also have the flu. Not just a mild case of the flu, but a full-on bout of intense fatigue coupled with aches, fever and chills. Imagine this feeling goes on for days, and then weeks, and then months, sometimes even years. That’s Lyme disease. It took years of medication, alternative therapies and hard work for me to get out of the rut of “sick tired” and battle my tick-borne diseases into remission. However, I still have to be very careful about pacing myself, or my “normal tired” can quickly slip into “sick tired.” The day after the fire alarms in my building, I had to cancel everything on my schedule and just sleep. Some may say it was a luxury that I was able to do this, but I see this one day “off” as a preventative investment against the weeks or months of them that can come back if I’m not careful. By the same rationale, I take a nap every afternoon, without exception. If I don’t, I hit a physical, mental and emotional wall, melting down like a small child. Pushing through naptime causes me to go into a state that I call “pulling”—a feeling of having to pull myself through the rest of the day, and perhaps the following day, until I can get adequate rest. Without it, I am too tired to walk distances that are otherwise easy for me; I can’t think straight and mix up or forget my words; I overanalyze everything and become emotionally off-keel. Napping for me is thus not a luxury, but a necessity. In essence, I heed the alarms of my body, putting out the small fires before the blaze becomes out of control. And that makes nights with real fire alarms manageable. 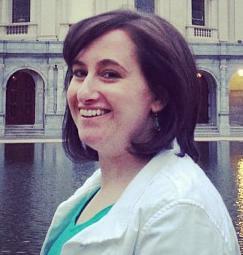 Lyme survivor Jennifer Crystal is pursuing a Masters in Creative Writing at Emerson College, in Boston. Her website is jennifercrystal.com. Email her at jencrystal5678@gmail.com. 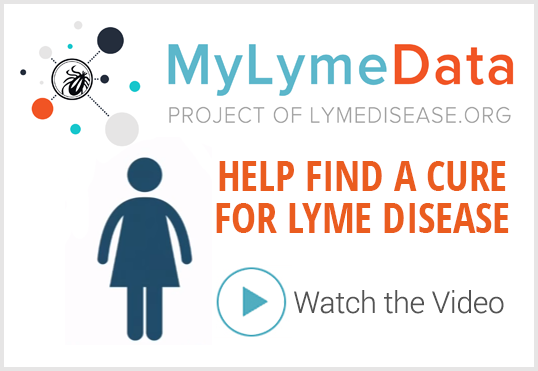 LYMEPOLICYWONK: Students at risk for Lyme: Will lawsuits make a difference? Very nice description of what it is like for you, Jennifer, and thousands of others with Lyme and co-infections. I think I’ll print this out, with your permission, and give it to the people who are the naysayers in my daughters’ lives. This is truly the best I have read on this topic. Well-done! I agree with Jennifer that understanding chronic illness is impossible for those who are healthy, but her colorful and descriptive blog posting helps us imagine what it must be like. In the past 8 years I have suffered thru 2 bouts of Lyme, the first time I could not walk without help, after antibiotics it got better and than 3 years ago I got bit again, this time I got both Lyme and Bells Palsy which left the left side of my face drooping and although it has stooped drooping as much still does a little. The joint pain usually comes and goes, but the pain in my right knee has been severe for 4 or 5 months and seems like it is here to stay. I understand the nap, I will just nod off in the afternoon I get so tired. Good Luck and try to stay away from Deer Tics. Since I am an avid gardener and live in a very wooded area with a wildlife area across the street I’m doomed. Unfortunately once you have Lyme Disease, you always have it. It goes into remission and then flares when your body is weak. It attacks different parts of your body. Sounds like it is in your joints. It is not curable, but treatable. 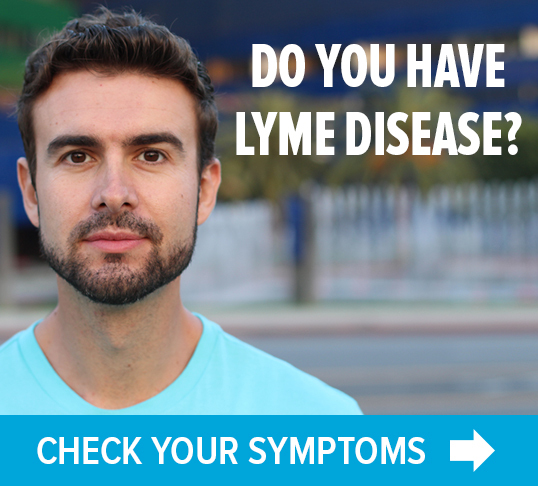 You may want to seek out a provider who is Lyme literate. Do not go untreated as it can get extremely bad. Awesome piece. If you can’t grasp the “sick tired” from this writer’s apt description, there is something wrong with you. I worked almost full time with Lyme and CFS, but my attendance was spotty and I often fell asleep at my desk in the afternoon. When I got home I would lie flat on the floor, unmoving, very often too tired to breathe. Just waiting for my body and mind to restore itself, which it never did until I finally had to stop work and go on disability and strong long-term treatment. Get a clue, world…this is OUR world. the worst of my lyme is the seizures, is there any help? Extraordinarily well written. Really helps those of us who haven’t experienced this level of deep sick tired to begin to empathize in new ways. Thank you! So sorry that you go through this, too! The napping description is excellent. I will show it to my energetic husband who still doesnt get it after 5 1/2 years. Thank you so much for writing this piece. Both my mother and I suffer from Lyme disease (after years of misdiagnosis as chronic fatigue syndrome). We have often discussed the difference in tired and/or sleepy as it means to a healthy person and the tired, almost “poisoned” feeling we experience with Lyme disease. I wish I could show this to friends or colleagues that have said I am “lucky” to only have to work 4 days a week. Or to those that during college thought I was “lucky” to not have to work while attending classes. These are concessions I have made due to lack of energy and healthy people never seem to understand your actual inability to “push” through the tiredness (without causing further damage to your health). Thank you so much – I have been trying for years to explain how I feel and have hidden it from even Doctors as I have felt no one can understand! Your words describe exactly how I have lived since my teens and I am fifty now! I know there is no treatment for me now, but I can manage it with healthy diet, vitamin supplements & my afternoon naps, anything from 5 minutes-3 hours! My CFS Occupational Therapist says not to sleep – but they DO NOT understand it at all!! They say by sleeping you decondition yourself but it is the opposite, by sleeping I can function and swim and walk (up to 15 minutes) – with out my daily sleep I can’t function mentally or physically and break down crying like a baby for no reason other than feeling so “sick-tired”! That’s me exactly even the timeline of age of illness/age now.. Thank you for that enlightening article J. Crystal. Also all the positive comments after the article. I contacted Anaplasmosis from a tick bite in May of this year. I was given two treatments of antib. I thought I was going to die I was so sick before the meds. It is now August and I feel exactly like you explained in the article Jennifer. What I need to know is what meds are you and folks taking to combat this tired feeling? Is there any help out there? Please let me know. Thanks Frank J.
wish I had this at the new doctor appt today. asked what I hoped to get from appt I had no answer. tried to tell how tired I was, at least, couldn’t find words that made sense. this does. I hope there is some way to share this easily with permission because I’m in the stage where I can’t adequately express my most basic feelings in understandable terms right now – even to those who know me well are getting frustrated. However, I had surgery and what little progress I had made in some of these areas has slipped back with no treatment. Some days I have the feeling I am plastered to the bed, and any commands my brain gives my body is useless. It won’t happen even down to moving a finger. Good article! Thanks for writing this. I’ve had lyme for over 17 years (misdiagnosed by inept and arrogant doctors throughout) and now totally disabled from medical neglect. If anyone here has ever been on Phenobarbital, lyme is like being forced to take a handful of downers every day, then having people criticize you for not being “normal” like them. I finally found a lyme doctor in Wisconsin and starting the antibiotics. Recovery will take years instead of months. The ‘social’ system in America is filled with amateur Freud’s, and people who don’t give a damn – even when you’re dying right in front of them. They think it’s a movie or an “act” and you can just change the channel. It’s brutal. Great post! I’ve always referred to it as “sick tired” as well. Thanks for getting this out there. Jennifer, you have described my life in better terms than I can – and I’m a writer, too. Thank you for this. What a great description of lyme fatigue. Thank you Jennifer for this thoughtful and dead on article. I used to explain to friends and family that lyme tired doesn’t equal, “yawn, I’m tired, I need a nap.” Lyme tired equals “I’m tired in the very core of my bones and taking a shower will require an hour of lying horizontal to recover.” I am happy to report that the “bone tired” is not like it used to be and I now have days in which I can exercise. But for those in the beginning of this illness and battling this fatigue just know that it takes TIME to recover. It has taken me FIVE years to get to where I am now; a combination of false starts and stops, healing severe adrenal fatigue and hormonal issues on top of or because of the tick borne diseases, lots of sleep and naps, supplements, antibiotics, drastic diet change to gluten/sugar free etc and taking care of myself like a full time job. You CAN get better and you can get beyond the fatigue Jennifer talks about. But like she says, I will probably always have to be diligent about taking care of myself. Thank you for this great article, I will be sharing it! I have Lyme also. I was seriously exhausted all of the time and could barely comprehend what people were saying to me. I also couldn’t focus to read anything, even an ad in a magazine. Now I am working in a daycare and I find the activity does me good even though I am tired at the end of the day. I know exactly what you mean about overdoing it. I too need the rest and sleep. I think that besides the antibiotics what kept me alive was forcing myself to get up and do something meaningful. I did not let myself be bedridden or hospitalized. I paid attention to my diet, got rest and exercise and forced myself back to reading and functioning again. It does get easier but I won’t ever be as active as I was before and that’s okay. You know that you are really ill when you think that you might die and that seems like a good idea. All of us can share our experiences and find solace in that sharing. I was only able to “force” myself to get up and do, if only to shower, after being bedridden for a year and a half. I finally began to be some strength and gradually get back on my feet. I still after 3 years post, have to be very careful how much energy I expend. Its not a matter of willpower mind over matter so to speak. We are not physically able . During my illness I couldnt even sit up in a wheelchair. u guys r lucky u can sleep. I have the extreme lyme fatigue, but can’t fall asleep without taking like 4 things. no nap…nothing. the sleep is awful & at least one med(benzo) is horrible/hell to taper off. I would trade places with any lymies that can sleep on their own. hey, I had a few tick bites this past year and one in particular seemed to be really swollen. Now it’s 8 months later and I’m pretty tiered, fatigued and hazy, but I’m not nearly as sick as you described . My doctor basically thinks that I’v got nothing to worry about because there was no “bull’s eye” rash. Long story short, I want to know where you guys all got diagnosed. It seems like this info should be easier to find, right? Sam, it’s important that you be seen by an ILADS affiliated doctor. See the website ilads.org. I have been to many doctors and have had a lot of blood work done. only to be told this is in my head and that there is nothing wrong with me. I am tired all the time and some days it’s impossible to take care of my kids. I even agreed to go to a mental health hospital from people thinking I was just depressed. I get stabbing,burning sensations all over my body and feel like I have the flu. I get muscle spams and tingling all over and my hands will lock up and I feel paralyzed. why won’t anyone believe me? I havnt been sick in years! Thank you for describing what I am experiencing yet everyone treats me like I just need to jump out of bed and shake this off. I was jut diagnosed in November with the very high numbers on the Lyme titre. The dr said she has never seen such a “Positive” result. It has been hell. The antibiotics, the joint and bone pain, the absolute sick exhaustion. Thank you because I have been criticizing myself that this must be something in my head. I could always rise to the task and now I can’t get out of bed for more than an hour a day. Sometimes I wake in the morning crying in pain. Then forget it–I might as well be dead. This is not life. I am losing my business because of this. I don’t have the energy to try for the disability because of all the paperwork. I , too, am printing or sending this link to my kids and the few friends I have so that they can understand better. Your description of Lyme tired is so accurate I actually cried when I read it. I can barely function. I have six kids and stepkids (6-8 at home at any given time), and it is all I can do to just keep breathing some days. Tired isn’t a strong enough word. Excellent piece. I just emailed it to several former colleague RN ” friends” who will no longer include me in activities because my illness is “too hard for them”. We went on a week long trip to the Outer Banks last week, unfortunately tree pollen count was high and they wouldn’t close windows, also may have been mold in the house. So after a couple days I had that meltdown just as described in this piece. I have never been able to properly articulate the level of fatigue I experience. I try but I end up sounding stupid or dramatic. This article hits the nail on the head. I actually feel a kindred connection to Jennifer and a deep appreciation for her ability to articulate what I can not. Thank you Jennifer! Fantastically stated! I don’t have the brain power to type more. I can relate fully! After recently getting Lyme disease, I found out what people were talking about when they said it makes you fatigued. I used to think that it couldnt be that bad. But only a week after being infected, lying in bed, my muscles felt strained. Kind of like how you feel when you’re holding something for too long but felt all over your body. Even lifting my hand to scratch my face is a strain right now. The way you describe this different type of fatigue is spot on. It really is hard to explain fully. Excellent description of “Lyme Tired” as I call it! I’ve reposted this asking all my friends and family to read it! When I say I’m tired, I’m TIRED! I just shared this article in hopes that people will finally understand what I am going through, I have never seemed to be able to describe it, always getting the eye rolls and “get over it” kind of looks. I was diagnosed with Chronic Fatigue Syndrome 15 years ago, and now have Lyme as well. I am so grateful to you for putting this part of my life into words. Very nicely done. I was relieved to find this post. Recently dx by my primary care physician with lyme and given 21 day doxy script. For a week the nausea,headache,fatique and knee pain was a sick I had NEVER felt. I was surprised at the lyme dx bc I dont ever recall being bitten. I had just switched my diet to a clean diet two months before, lost 10 lbs and started regular exercise. I never felt better. Now, Its discouraging not knowing what to expect next-I tried to begin my exercise program again and my body literally has nothing to give-had to lay down after warmup. Whats even more strange is my husband began experiencing the same symptoms one week after me-causing me to question dx. I would appreciate any feedback or similar experience as it truly is mind boggling! It’s so sad to hear about how Lymes has affected so many people. I have been suffering for almost 3 years now. I’m so tired I can’t wake up in the morning. I had to leave my full time teaching job and take a work from home job because the aches and pains have taken over my life. My husband and children are supportive but don’t really understand how tired I really am. Thank you so much for sharing and I will keep you and everyone who suffers in my prayers. Yes a great description. I’m not sure I have Lymes and have never been tested for it, I have always presumed it to be CFS. I did get a rash pre being ill, but it wasn’t a bulls eye rash, I don’t think Lymes is really recognised here in the UK by doctors.. I have been struggling for over 5 years with the awful fatigue problem. Every day is a battle as different symptoms rear their heads, whether that be leg cramps, body ticks and spasms, nausea or fatigue, such a hard illlness to try and manage and frustration with myself everyday doesn’t help. I was always the man people came to, to help them lift things as I was so physically strong, now i have to sit back and ask others to do stuff for me, I hate it! The total drain out of energy is impossible to explain to family and friends, last night I truthfully thought I may pop my clogs while laying in bed, as breathing was such an effort. Trouble is I had a heart attack last year too so I know wonder if my heart will be effected to a dangerous point when I get these total drain outs, but hey doctors just don’t get it, so hardly worth talking to them. They make me feel like a total hypochondriac. Like others i’m on vitamins but have never been offered meds by doctors, I just feel like i’m in this on my own, I research and try everything, but I know I drive my wife mad, trying all the different fad ideas to try and get me well. Sjogrens disease, all my test are negative, but My Dr now wants me to have a biopsy of my saliva glands, to make sure it isn’t Sjogrens, and just not showing up on my blood test. I haven’t had the biopsy yet. I’ve started seeing a Dr. For Biofeedback. This Dr. Has determined that I have pressure on my optic nerves, so he’s baffled because no one has suggested that I be tested for Multiple Sclerosis. He is suppose to be making arrangements for an MRI. Yesterday, my best friend, and my daughter ( that has multiple sclerosis) asked if any of my Drs. Had mentioned Lyme Disease. None of them have. I started thinking about it, and when I was 27 years old, the back of my knee was itching, I scratched it, and thought I was scratching a mole. It bothered me for weeks, and I noticed that it felt bigger one night, so I got a mirror and looked at it and it was a tick. I freaked out, and was grossed out, because it had been there for so long. I got it off, and have never really thought of it again, until now. I’m anxious to see my Dr. This week and tell him the story. I know I’ve been sick since that age. It’s getting worse. I’ve been complaining to everyone I know about how terrible I always feel. How I always feel like I have the flu, and resting doesn’t help. I take 4 10/325 Norco a day, and have for 10 + years. Without it, I think I would be dead…. no energy, chronic pain in every joint, and muscle my feet, legs, and hands tingle, and get numb. My insides even hurt. I stress and over analyze everything. I feel like I’m slowly dying, and I’m just sick and tired, of being sick and tired. I’m praying I get some answers. I wasn’t to feel better. Everything is so hard, but I seem to manage, with the help of Norco. Wow, well written. Thank you so much for putting it into words. It helps to know that someone understands how I’m feeling.